Port Authority - Ladies Maternity 3/4-Sleeve V-Neck Shirt, L561M [L561M Maternity] - $21.98 : Sogowear Outfitters!, Polo Shirts, Golf Shirts, Jackets, Fashion Fleece, Woven Shirts and More! 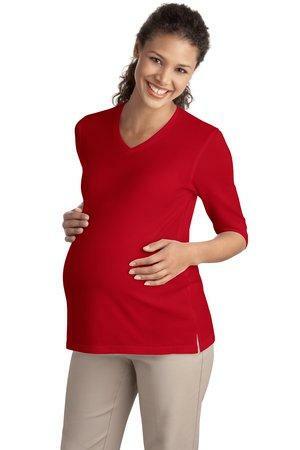 Enjoy all the superb softness and virtually carefree benefits of Silk Touch in a maternity style. 5-ounce, 65/35 poly/cotton pique.